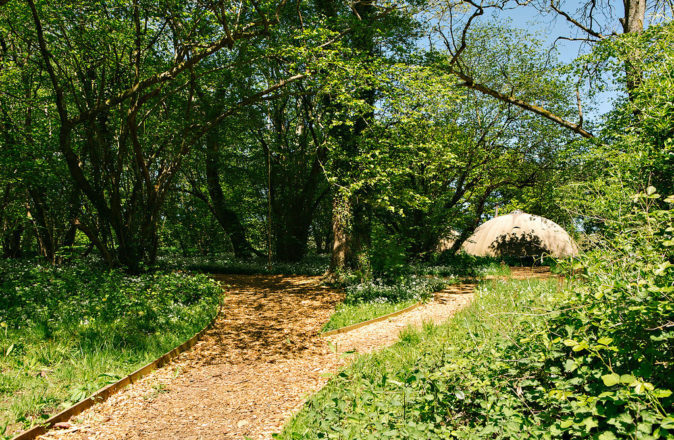 Book the glampsite exclusively and transform Penhein into a private retreat. We can cater for all types of courses and classes, including fitness, walking, wellness, yoga, art and writing. If you’re a professional teacher or trainer, just gather a group and leave the rest to us! 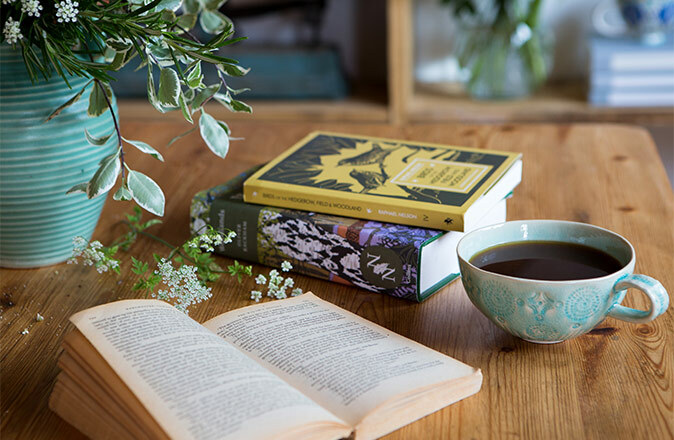 Whatever your field of expertise, at Penhein, you’ll find the perfect spot for a few days of focus.  Build fitness at boot camp, teach creative techniques in writing and art, or nourish body and mind with classes in yoga, pilates, meditation and mindfulness. 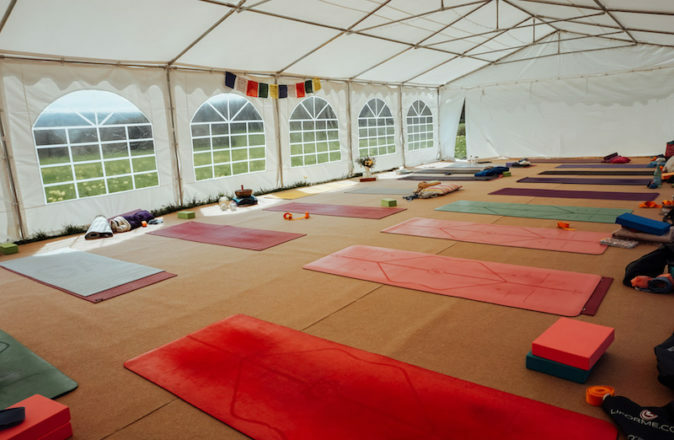 Our glampsite has everything you need for your stay, from luxurious home comforts to fantastic facilities, whilst the Monmouthshire hills provide the picturesque backdrop for your daily practice. Our spacious pop-up tent, Chehel Sotoun, will be the studio space for your classes. We can set everything up for you, and there’s heating, tables, chairs and carpeted wooden flooring available on request. For yoga and art groups, there’s room for 24 mats or 20 easels. On warm summer days the sides of the marquee can be opened for an almost-outdoor experience. 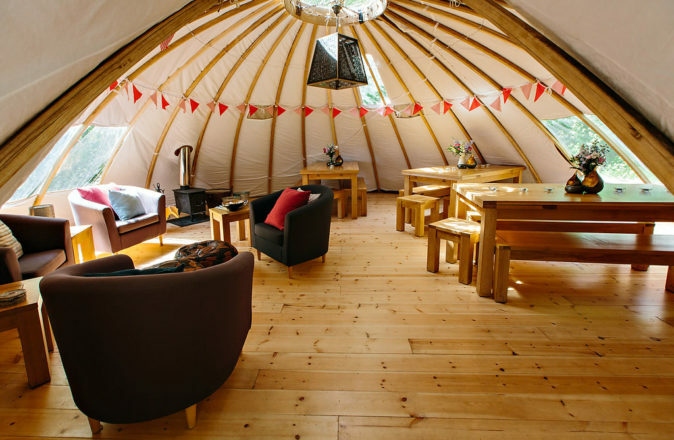 On the edge of the woods, our communal tent Petro offers a cosy den for regrouping between sessions. Enjoy coffee breaks, breakfast, lunch or dinner all together, and for quiet evenings cosied in under canvas you can relax in comfy chairs beside a wood-burning stove. There are six luxurious alachigh tents on site, sleeping four adults comfortably. 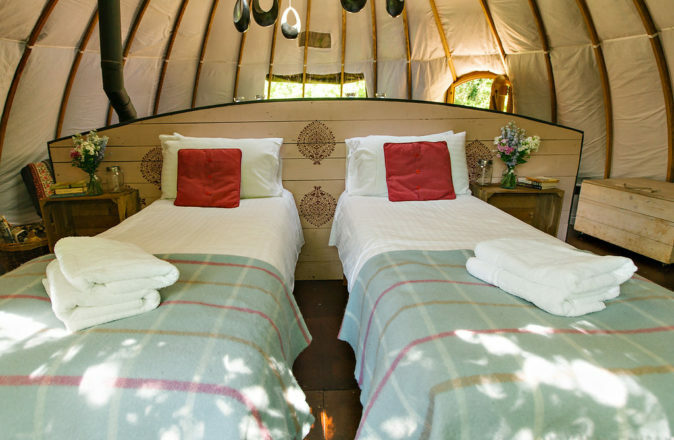 Similar to a yurt and custom-made for glamping, they’ve been decorated in a cosy, rustic style and feature proper beds, a kitchen unit, table and chairs and an en suite flushing loo. 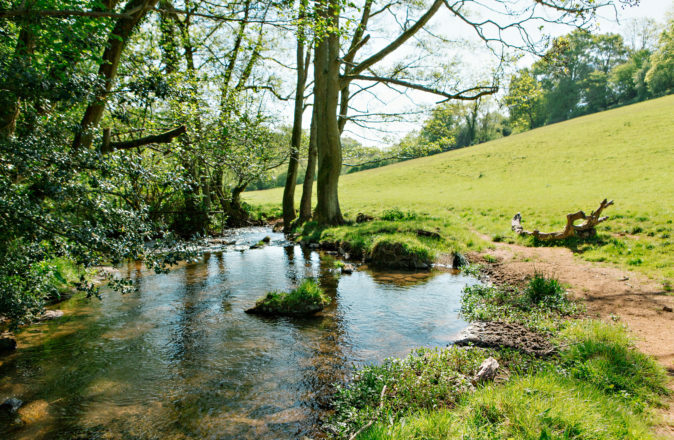 A short stroll across the glampsite takes you to a boutique bathing block with monsoon showers and a roll-top bath. The catering options for large groups are as flexible as any experienced yogi. There’s a stove and a firepit to every tent, so those seeking culinary adventure can set to work and take it in turns to cook for the group. (You’ll need to bring your own food). Our cheat’s kitchen has a hob, a microwave, and plenty of space for everyone to do their bit helping prep the menu. There’s a world of alternative activities to discover in between classes. 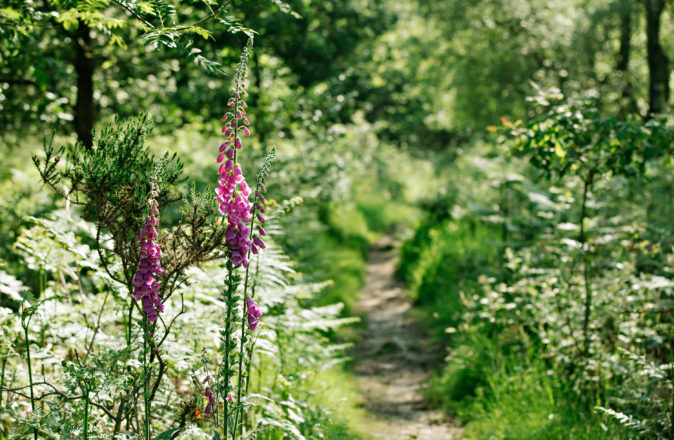 Penhein is located in the heart of the Welsh countryside, with wildlife all around us and acres of unspoilt greenery to get lost in. 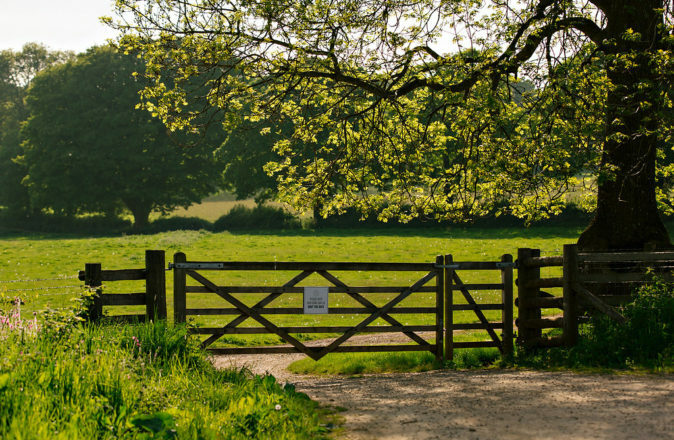 We’ll happily recommend walking routes, sights and attractions in the local area, and we can also arrange things especially for your group – from bushcraft and foraging, to printmaking and paddleboarding. Make your rural retreat complete with an indulgent relaxation treatment (or two!). Our therapists offer a range of treatments on site, including massage, reflexology, facials and pedicures. 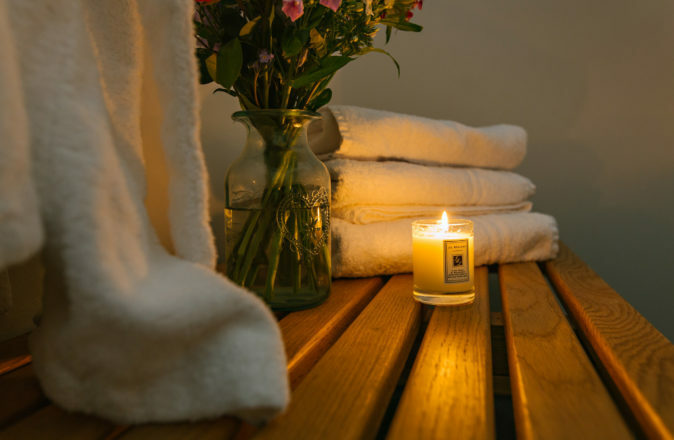 Invite your guests to enjoy a pampering moment of ‘me time’ to complement their classes. 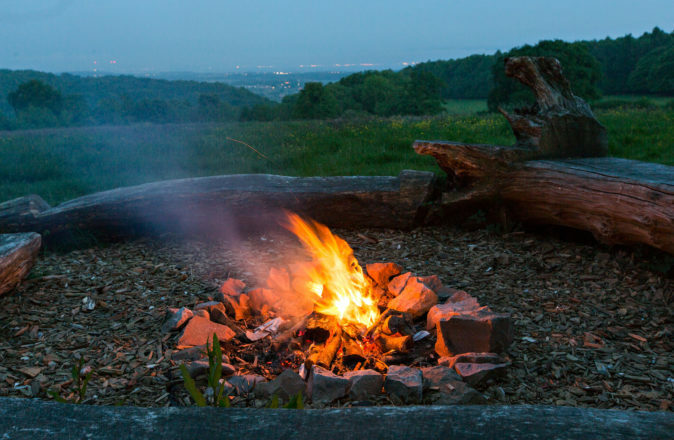 Prices for the whole glampsite sleeping up to 24, including both communal tents for two nights mid-week, start at £1,815. To discuss your requirements, please get in touch.